Retail giant Amazon has come out with its latest version of its eReader which is slimmer at 9.1mm and weighs 213g. It offers better resolution and sharper images with its 212ppi capability. It also now has the capability to swipe through its content and browse through the digital library which previously was a feature that only Kindle Fire had. The built-in light allows users to read even in the dark. The brightness can be adjusted easily with a stroke of the display. The new Kindle device has added fonts that were not available on the old eReader. A new feature of the Kindle Paperwhite is the Time to Read app which has the ability to work out how much time it will take to finish a chapter of the entire book depending upon the user’s speed and habits. It provides access to Amazon’s eBook library of 180,000 Kindle exclusives from which a user can choose and purchase. Other apps available on the new device are the X-Ray and the Whisper Sync on Voice which allows the user to read an eBook aloud and listen to it on an audio book. 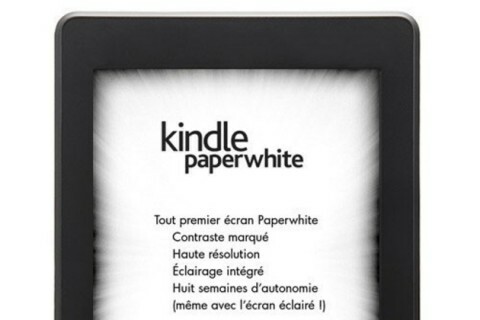 Amazon claims that the Paperwhite’s battery can last up to eight weeks with the lights on. It works over free 3G nullifying the need for expensive data plans and annual subscriptions. The Paperwhite comes in two models: the Wi-Fi and the 3G models respectively priced at $119 and $179. Amazon starts shipping the two models on October 1. Please double check the whisper sync capabilities of the paperwhite. From what I have read online, this device is devoid of the headphone jack and the speakers so very likely that it won’t support whisper sync voice.